The Relek mission was designed to give Russian scientists a brand-new orbital tool for studying charged particles in the radiation belt of the Earth for the first time since the Koronas-F spacecraft was launched more than a decade earlier and stopped working in 2005. This field is critical for the fundamental geophysics research and also has practical applications in the field of the so-called "space weather" affecting various sectors of modern economy. The mission would also give young Russian scientists a chance to participate in the development of cutting-edge geophysical and astrophysical instruments and in the analysis of their data. 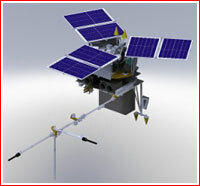 As of 2012, the second spacecraft in the MKA-FKI series was intended for the studies of emission of relativistic electrons from radiation belts of the Earth and their influence on the atmosphere and ionosphere of the Earth. Onboard cable system, BKS, (needs upgrades). 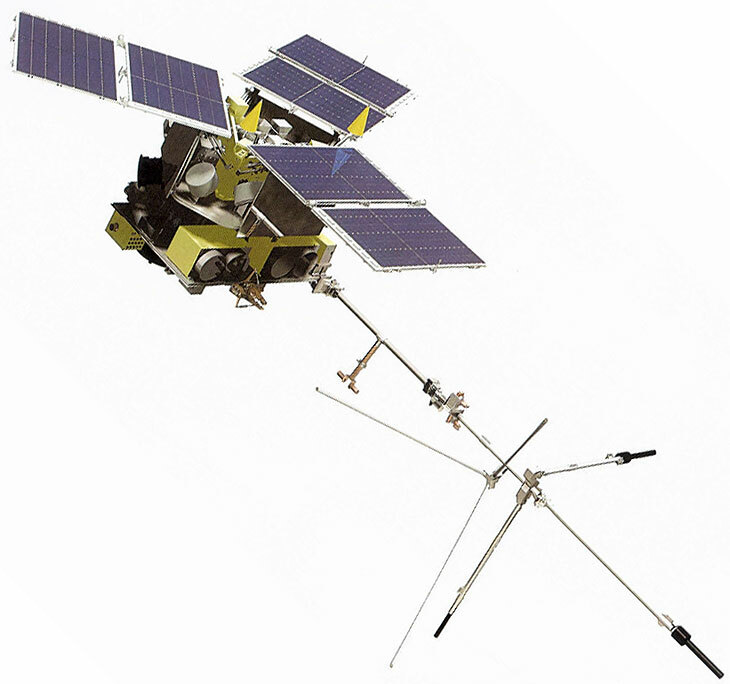 The Relek science payload, NA, developed in cooperation with the Ukrainian industry under an intergovernmental civilian space agreement for 2012-2016. The original plans for the second MKA-FKI mission also included flying the Monika science payload, however its development was discontinued in 2012 with an intention to complete it at a later date and launch onboard the sixth MKA-FKI mission. As of 2012, the MKA-FKI (PN2) spacecraft was to have a mass of around 250 kilograms, which would be clarified after weighing of the vehicle. The Relek payload would consume up to 55 Watts of power and be able to transmit up to 500 megabytes of data per day. The scientific payload developed by the NIIYaF nuclear physics institute of the Moscow State University, MGU, would consist of two identical nadir-looking detectors DRGE-1 and DRGE-2 with NaI(T1)/CsI(T1) and plastic scincillators. They would have a mass of just 9.5 kilograms and a size of 300 by 270 by 200 millimeters. The expected power consumption would reach 10 Watts. Also onboard would be a 4-kilogram cube-sized DRGE-3 detector with a side of 250 millimeters. It would consume around six watts of power. A five-kilogram optical Teleskop-T telescope with multiple mirrors will be onboard a require just six watts. A one-kilogram DUF instrument with a pair of photo-multipliers would require no more than one watt of power. A one-kilogram Dostel dosimeter avionics box would require one watt of power. A four-kilogram avionics box, BE, would be used to generate telemetry and its transmission to the memory onboard the spacecraft at a rate of no more than 500 megabytes a day. The launch of the second MKA-FKI mission was planned as a piggyback with the Meteor-M No. 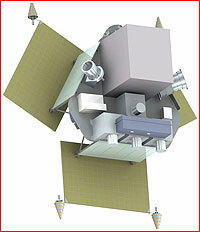 2 primary payload, according to the Roskosmos decision on June 20, 2012. It was to be deployed in a 800-kilometer sun-synchronous orbit, where it was expected to function for at least three years. Around the same time, various publications promised the launch of the spacecraft in 2013. 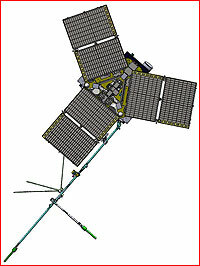 As of May 2013, the launch of the spacecraft was expected at the end of September, however it was unclear weather the failure of the first Karat satellite would affect the schedule. On March 14, 2014, the Space Council of the Academy of Sciences, officially rejected the use of the Karat platform for all but the Relek experiment. In the meantime, the testing of the flight-worthy Relek spacecraft was completed on April 30 and its was delivered to Baikonur on May 6. At the time its launch along with a Meteor-M No. 2 satellite was scheduled for June 19, 2014. Above: A Soyuz rocket lifts off with a cluster of satellites, including MKA-FKI (PN2) Relek, on July 8, 2014. The MKI-FKI (PN2) Relek spacecraft was launched on July 8, 2014, along with six other payloads on a Soyuz-2-1b/Fregat booster and was successfully released into a 825 by 633-kilometer orbit with an inclination 98.38 degrees toward the equator at 21:39:15 Moscow Time on the same day. 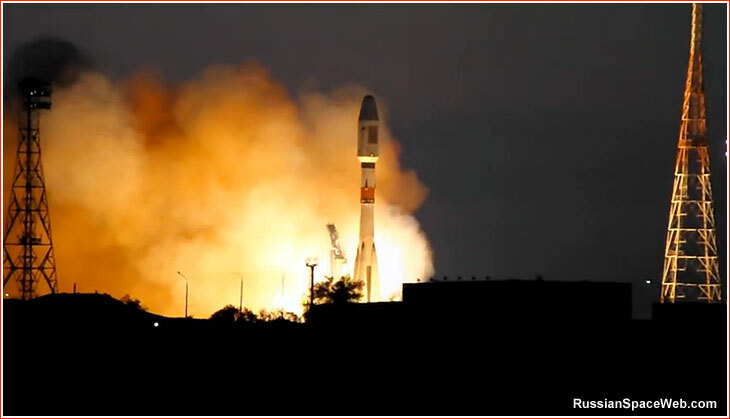 According to posters on the online forum of the Novosti Kosmonavtiki magazine, the spacecraft established contact with ground control soon after its release from the Fregat upper stage and deployed its antenna for radio-frequencies analysis, RChA, by July 19. On July 21, 2014, NPO Lavochkin, which built the Relek spacecraft, finally issued a press-release on the mission, stating that the company's specialists had initiated the first phase of the satellite's flight testing. They stabilized the position of the spacecraft along a single axis and made test trials with the three-axis orientation. Ground controllers were in process of correcting a clock onboard the satellite and conducted measurements of its actual orbit based on data from the autonomous onboard navigation system. They also made test activations of scientific instruments onboard the spacecraft. All nominal equipment onboard the satellite is in operational state and performs its functions, NPO Lavochkin's press-release said. By the beginning of August 2014, the stream of scientific information from the Relek payload onboard the MKA-FKI-2 satellite exceeded a gigabyte of data, said the Nuclear Physics Institute, NIIYaF MGU, responsible for the project. The first results from observations were publicly announced at a press-conference coinciding with the 40th assembly of COSPAR. The director of NIIYaF Mikhail Panasyuk said that test activation of scientific instruments had been successfully performed, delivering first scientific results. As late as November 2014, sources involved in scientific experiments onboard MKA-FKI-2 reported on the online forum of the Novosti Kosmonavtiki magazine that the mission had been proceeding very well. In particular, on November 11, flight controllers switched the satellite to a backup computer, as the final test of its onboard systems. During the previous week, instruments onboard the satellite were used to monitor the latest solar flare, requiring to orient the spacecraft toward the Sun for at least a half an hour during each revolution around the Earth. On Dec. 5, 2014, NIIYaF announced that the spacecraft had been renamed after Soviet physicist Sergei Vernov. Vernov was involved in the scientific program for first Soviet satellites, known today as Sputnik-1, Sputnik-2 and Sputnik-3. The formal decision to rename the spacecraft was made a day earlier at a meeting of the Space Council of the Russian Academy of Sciences. It was not without a controversy, in particular due to an old naval superstition not to rename ships. Sure enough, by the middle of December 2014, first hints had surfaced on the web that the satellite was in trouble. However only on January 11, 2015, the official Interfax news agency reported that ground controllers from NIIYaF had not been able to communicate with the spacecraft for about a month. Quoting an unnamed industry source, the agency said that the last scientific information had come from the satellite at the beginning of December 2014. As a result, MKA-FKI-2 ceased operations after just five months in orbit, instead of projected three years. The satellite failed even quicker than its predecessor -- MKA-FKI-1 with Zond-PP payload that had functioned for 11 months. A day later, the official TASS news agency quoted the NIIYaF director Mikhail Panasyuk as saying that it would be too early to consider the satellite lost and that specialists had been working on restoring communications. However given the lack of information on the incident and previous history with many failed missions, the chances for reviving the satellite were probably close to nil. Science instruments for the Relek mission.